My home is full of vases and objects of all shapes, sizes and colours, some designer, some vintage finds and some that I’ve selected as props for photoshoots for the magazines I edit. Some of them are round, some oval, some brick-shaped – and some are cylindrical, like those I’ve picked out in the picture above. 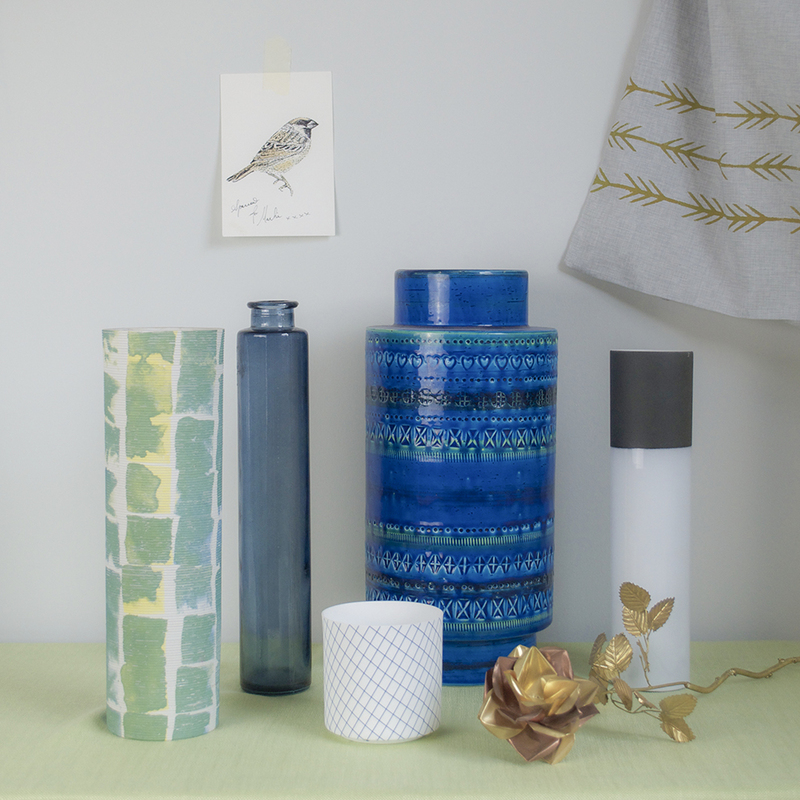 There’s a beautiful simplicity about a cylindrical vase, whether they’re tall or short, narrow or wide, and the classic shape doesn’t detract from the decoration – which allows it to sing. Here is my choice of some of the best in stores right now. A glass vase painted to evoke a beautiful fragility, this LSA Lace vase, in Linen design, is also available in blue and white. From Selfridges. Classic white. 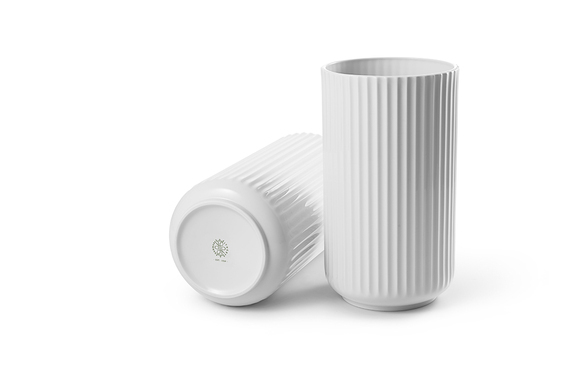 An iconic design from 1936 by Lyngby Porcelain, available in a range of sizes from TwentyTwentyOne. 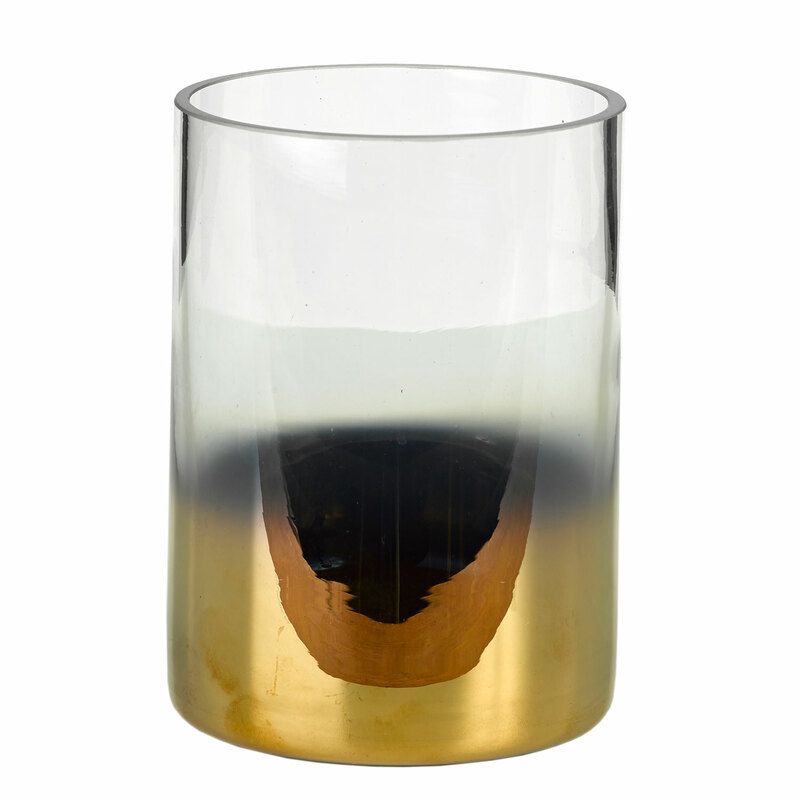 I’ve recently been crafting my own ombre effect glassware for a magazine project. 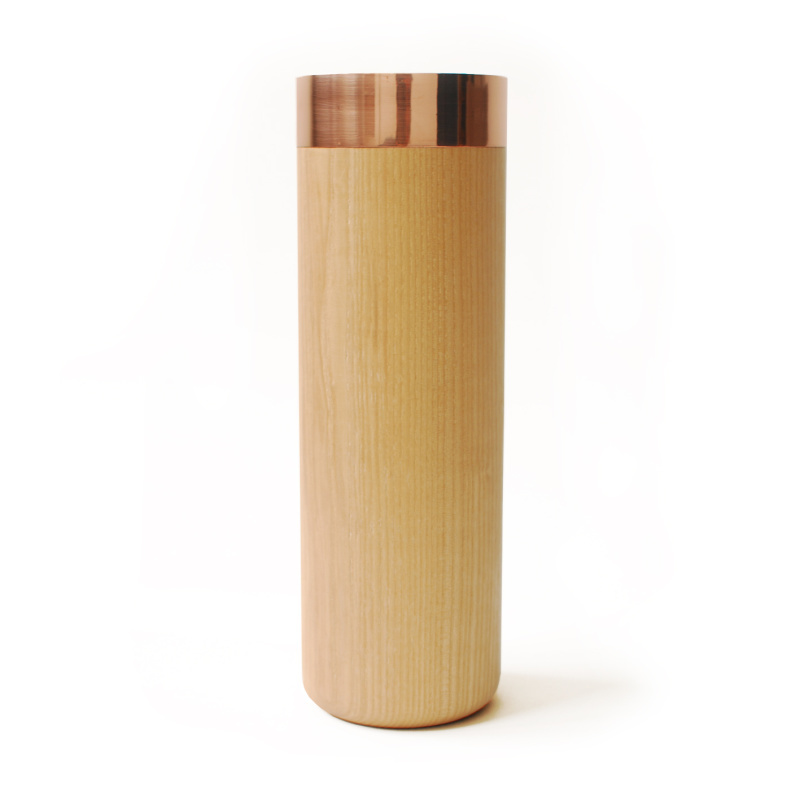 Here’s part of the inspiration: Pols Potten Gradient Gold Vase, from Heals. 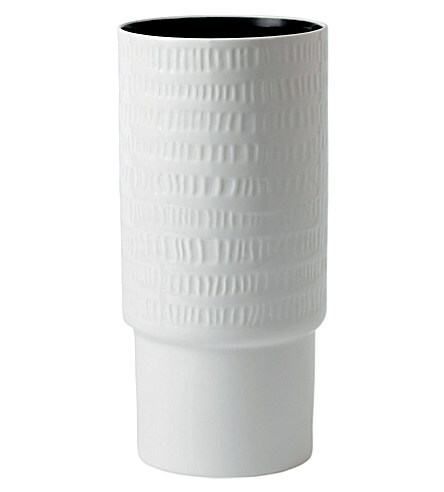 This monochrome vase mixes the traditional with a touch of mid-century retro chic – as you might expect from a collaboration between Royal Doulton and Hemingway Design. From Selfridges. 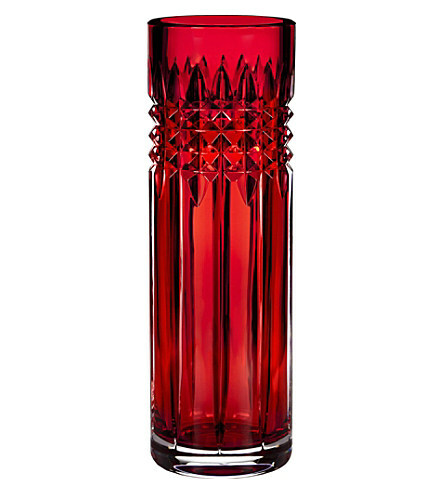 Waterford crystal gets a makeover with this Fleurology Tina design from celebrity florist Jeff Leatham. Available in a range of colours from Selfridges. 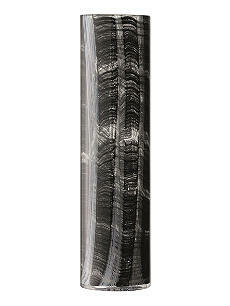 The natural world and man-made combine in this hand-turned ash, copper and glass vase by Aelder. Available from Clippings.com. 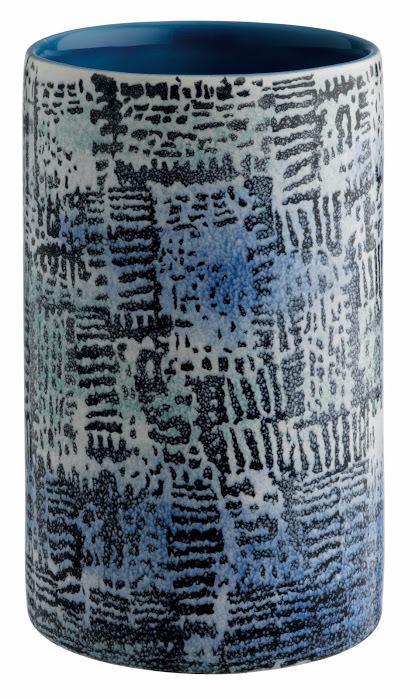 The Langdon blue and green vase from Habitat features daubs of chalky colour on a black and white background. Each vase is unique and decorated by hand. Over the past year I’ve been building working relationships with independent bookshops, too, as the book I’ve co-edited and written for (published by our own Dunlin Press) has been finding a home in indie stores around East Anglia. There are thousands of books lying around Ella’s Place – some in almost every room. 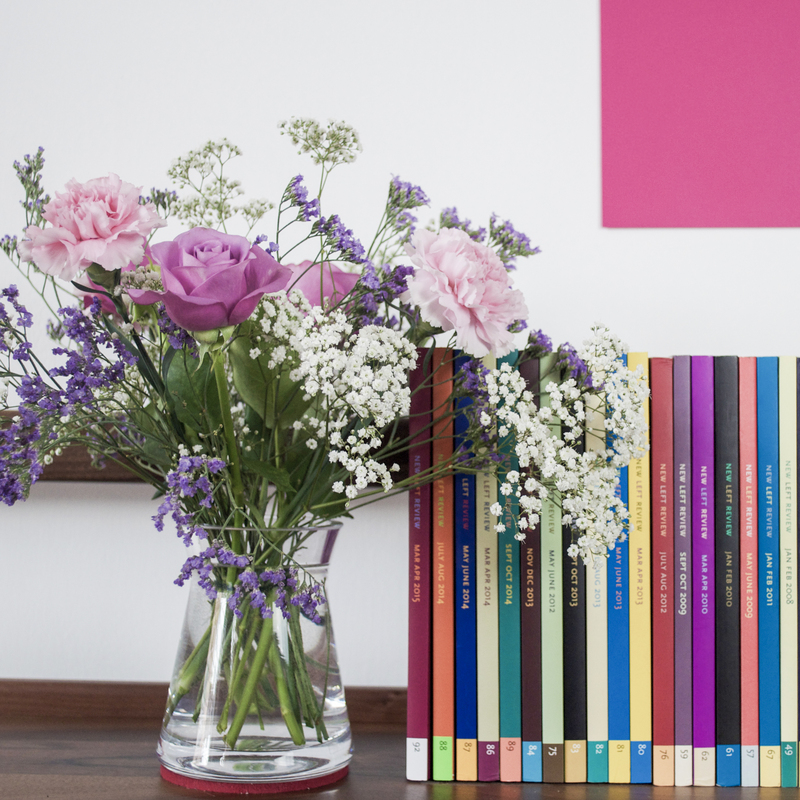 The jumble of colourful spines in the picture above come from a series of editions that sits in our living room. 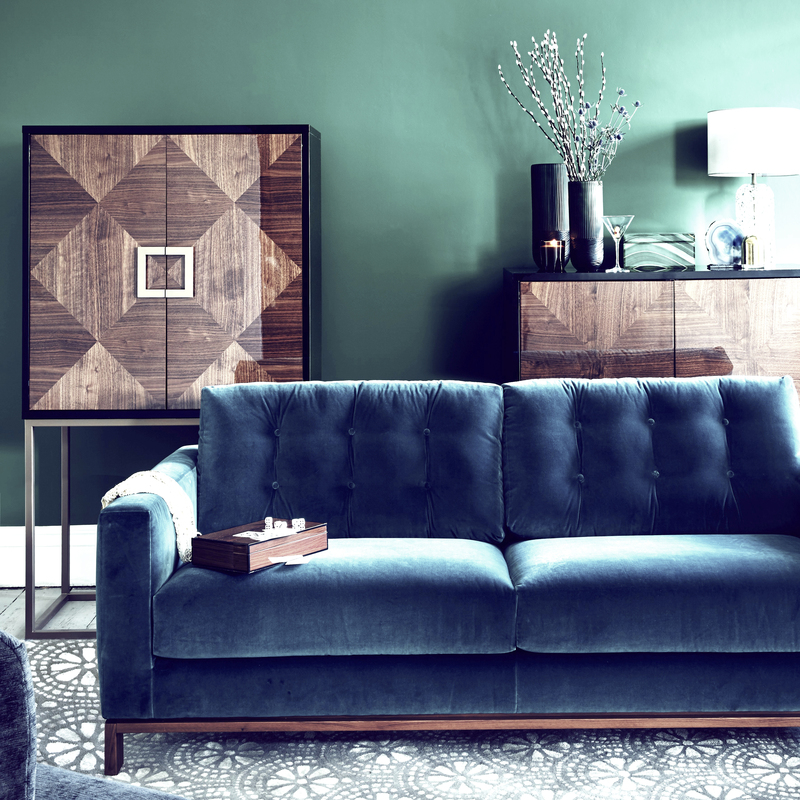 They, plus some design compendiums, a selection of oversized art books on the coffee table and a complete edition of the Encyclopaedia Britannica from 1974, give the room something of a salon sensibility. I love what books bring to a room – for me a room doesn’t feel right without them. The majority of the books around Ella’s Place are deposited in the study. I say deposited, rather than arranged, because the floor-to-ceiling shelves are in need of some sorting out. I’m not one for following a Dewey Decimal style of library classification at home (think of the work!) and, though it has a certain visual impact, I don’t take pleasure in colour coding the books on a shelf – to me it looks too contrived. In the past I’ve enjoyed grouping books by authors who I thought might enjoy conversing with each other or arguing a point. Yes, really. Let’s just say that Dr B couldn’t always second guess my logic when seeking out a novel. But whichever system I choose, I’d better get on to these shelves soon – a well-arranged bookshelf is a thing of joy. Let’s face it, unless you’re actually a qualified librarian it’s unlikely you’re going to try this. Just think of labelling all your books (700 is the class code for art, 800 for literature etc) is probably enough to put you off. The Dewey classification model has been around since 1876 and I doubt anyone uses it at home. Little wonder. 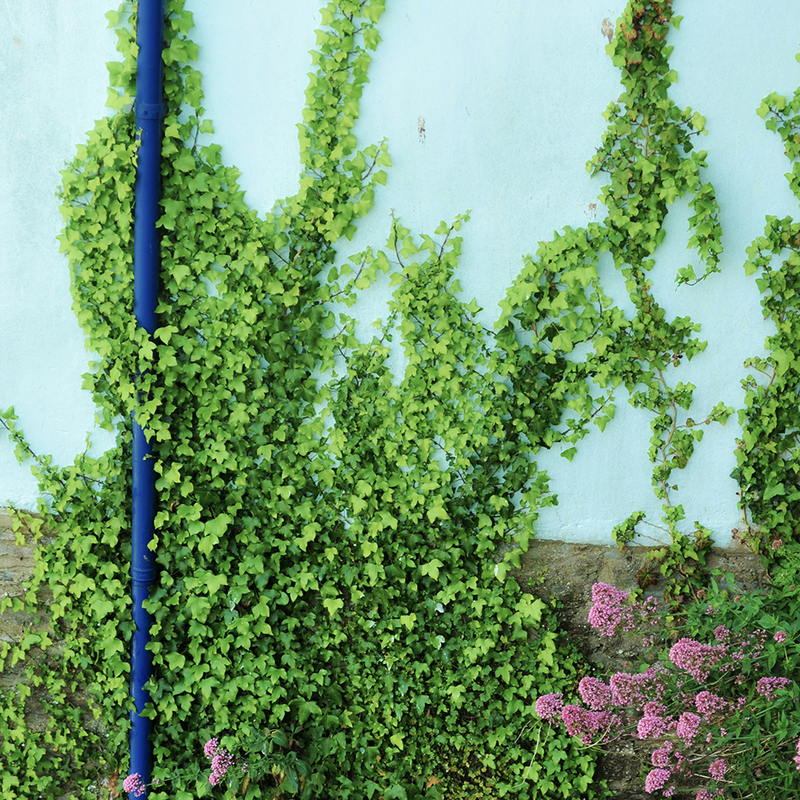 This often comes up in style magazines – and it often looks a fix. Once you get into the real specifics of differing shades of orange (tangerine, apricot? ), hardbacks and softbacks, tall books and short books and the lettering on the spine, your dream of a beautiful rainbow of books will be a faded memory. There’s a thought that arranging books by size makes a shelf look neat. It doesn’t, it makes it look lop-sided. A good bookcase will have wider shelf spacing for larger books at the bottom and narrower shelves at the top. This should tell you all you need to know about where to put your books. Perhaps this is where the aesthete in me comes out. Yes, alphabetising your books should make them easy to find, but it will bring about some strange juxtapositions and overall it feels a little unnatural, a little forced. In any case, your shelves are more than an index, they are a thing of beauty – respect them as such and make them look good. Would you hang pictures in alphabetical order? 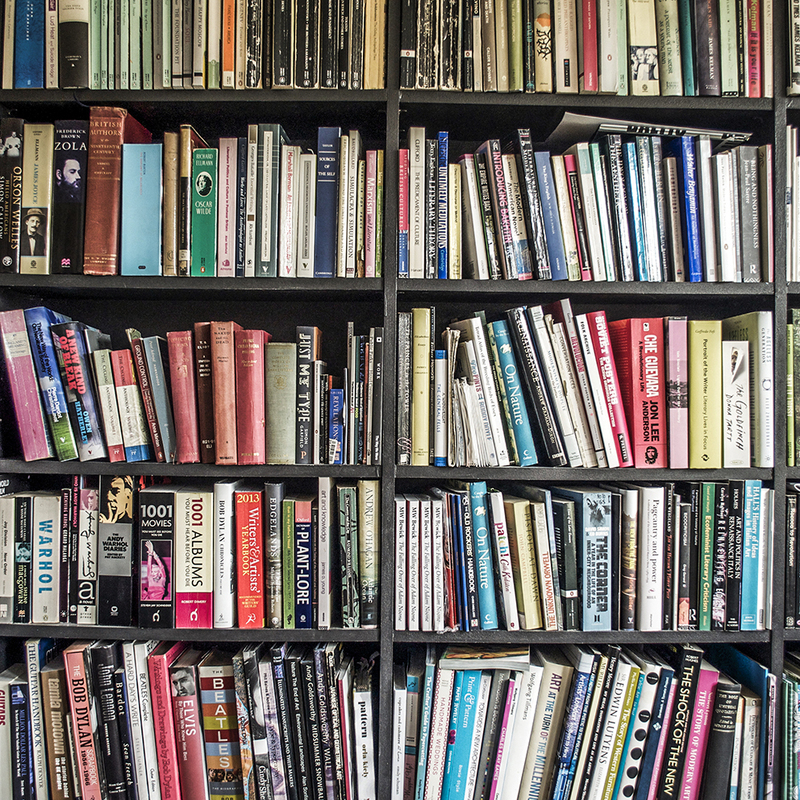 Split your books by genre with art books on one shelf, craft books nearby, novels on another, biographies on another etc, and you’ll start to achieve some of the sense that you get when you go into any bookshop. If you can’t resist the temptation of arranging your books A–Z, do it within these genre sections. Okay, I’ll whisper it, but for many people (I know, I’ve visited), the smallest room in the house contains a small collection of reading matter – and usually something a little lighter than War and Peace. Similarly, coffee table books are often large, flick-through, pictorial volumes that are easy to peruse while having a cuppa – and in the kitchen, of course, you put cookery books. It makes sense. If you have a lot of books, remember this and split your collection up sensibly. What might be good in a guest room? What should move back to the office space? And, of course, which books do you want to show off in the place you entertain? Really, there are only two things to remember when organising your books. One, you need to be able to find a specific book easily when you want to refer to it. So, decide on your system of organisation and stick to it, always putting a book back in its place when finished with. And two, remember that books take up a lot of wall space. 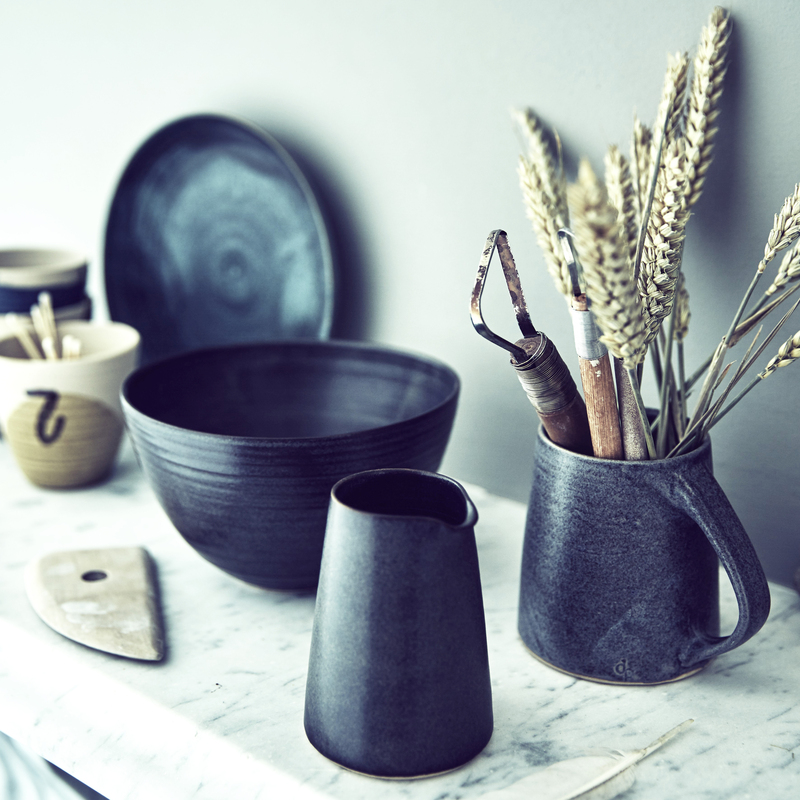 Treat them as you would any other treasured household object – arranged with care they can bring a room to life. 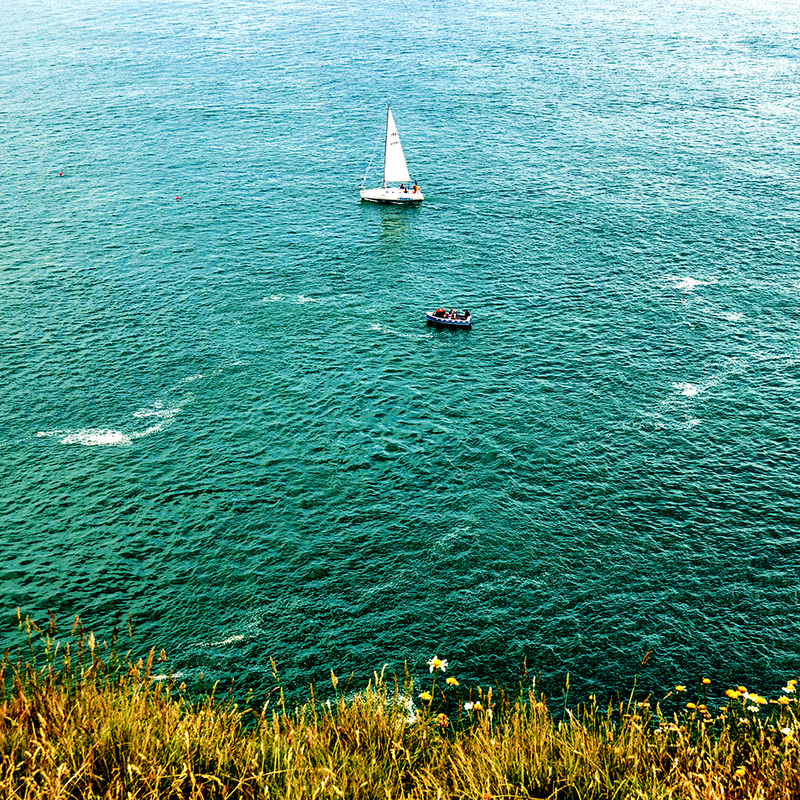 Last week I spent a few days in South Devon and the weather was beautiful. 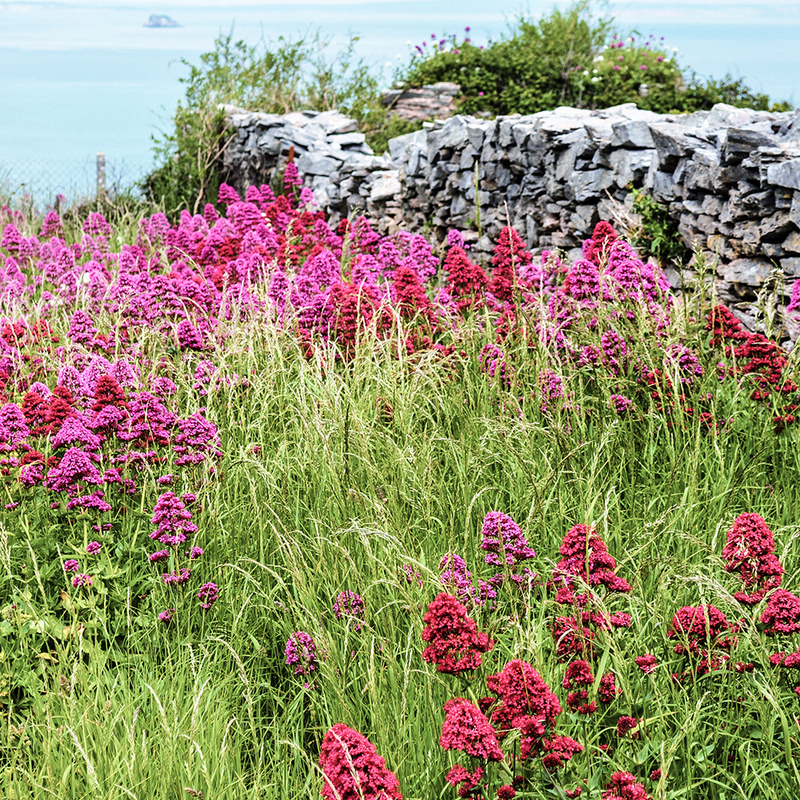 At this time of year, when nature is starting to reach its vibrant peak, colours come into their own and seem to create a palette of pink, white, green, yellow and blue. 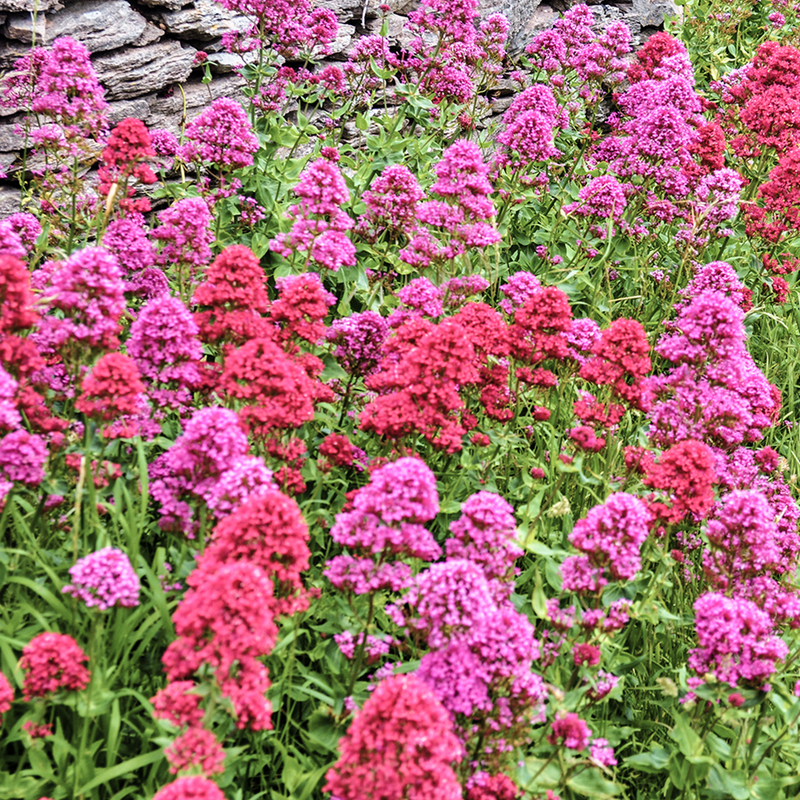 The hedgerows, meadowlands and walls were full of wild red valerian, which is sometimes known as kiss-me-quick, fox’s brush or Jupiter’s beard. It was everywhere. 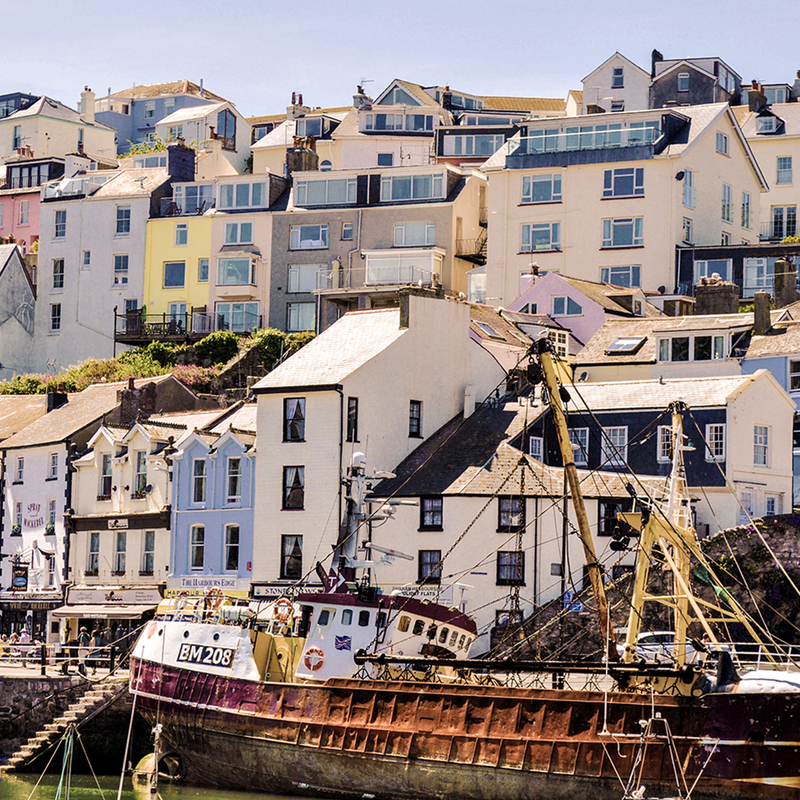 The white ‘albus’ form of valerian also smothered swathes of the cliffs at Berry Head, while the higgledy-piggledy buildings of Brixham’s harbour reminded me that what we think of as ‘white’ is usually a mixtures of other, softer colours – creams, yellows, blues and pinks. 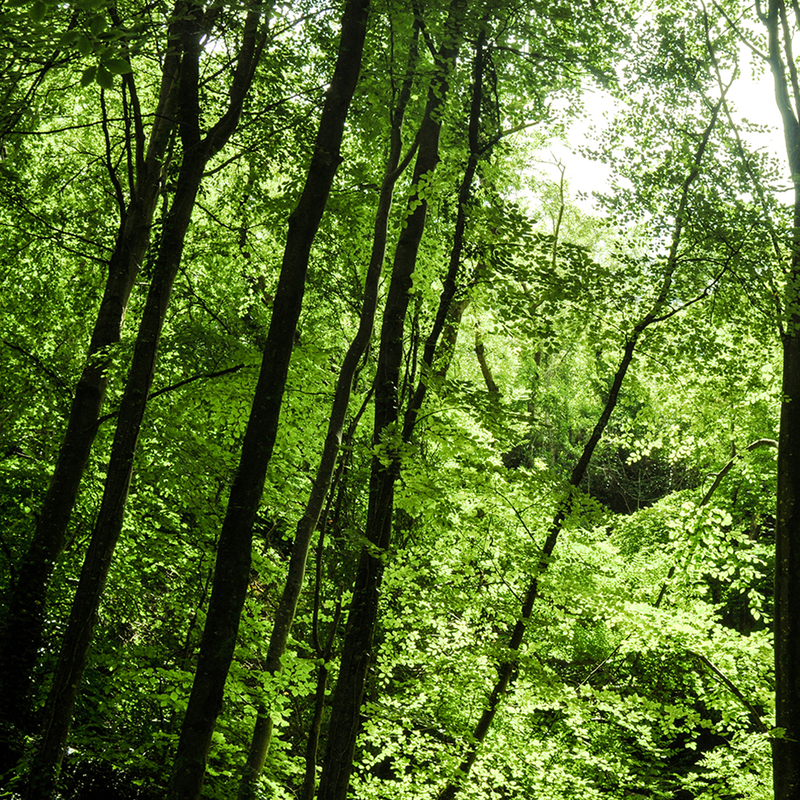 Some of those harbourside walls are gradually being ‘greened’, while a walk through the Grove took me back to Andrew Marvell’s poem ‘The Garden’ and the line ‘a green thought in a green shade’. 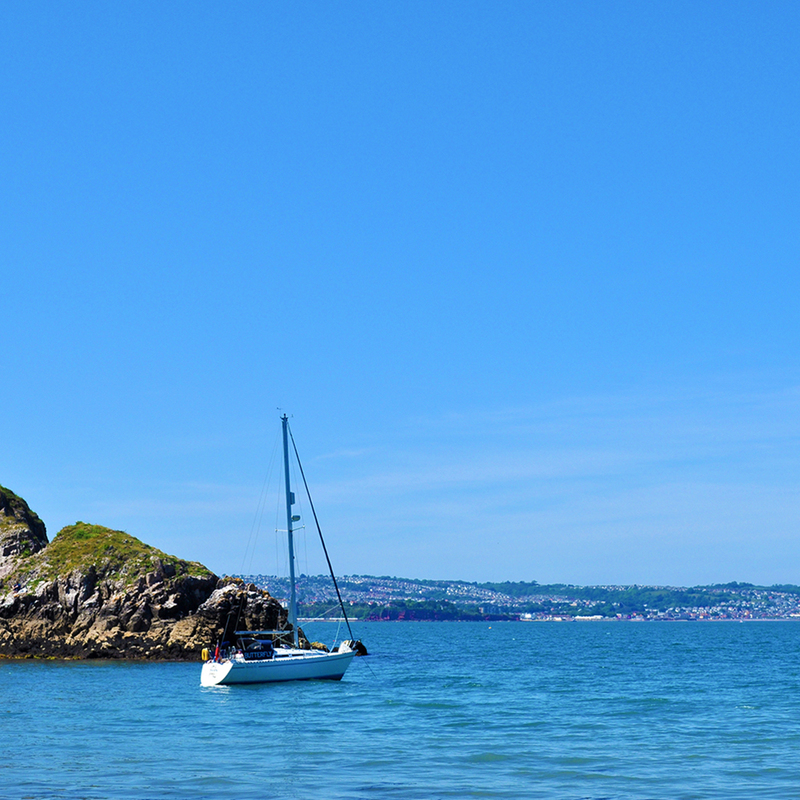 The sunny week in June saw me and Dr B spend afternoons in some of the secluded coves along South Devon’s coast. 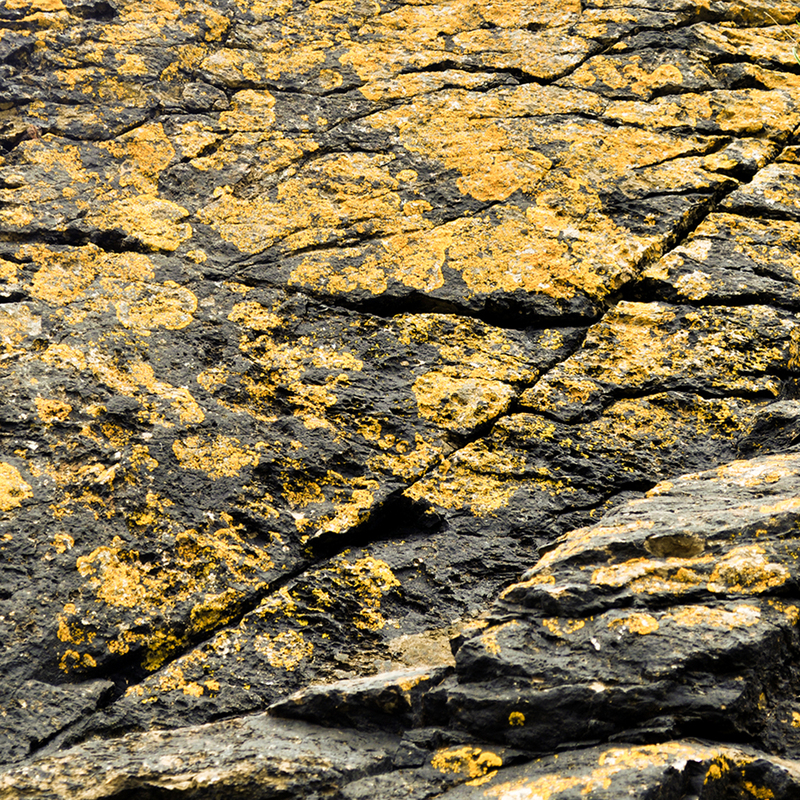 I am fascinated by lichen (it’s starting to cover the roof of my little studio) and on one afternoon the dappled sunshine was reflected in the golden colour of the lichen on the rocks at the foot of the cliff – it’s almost an abstract painting. 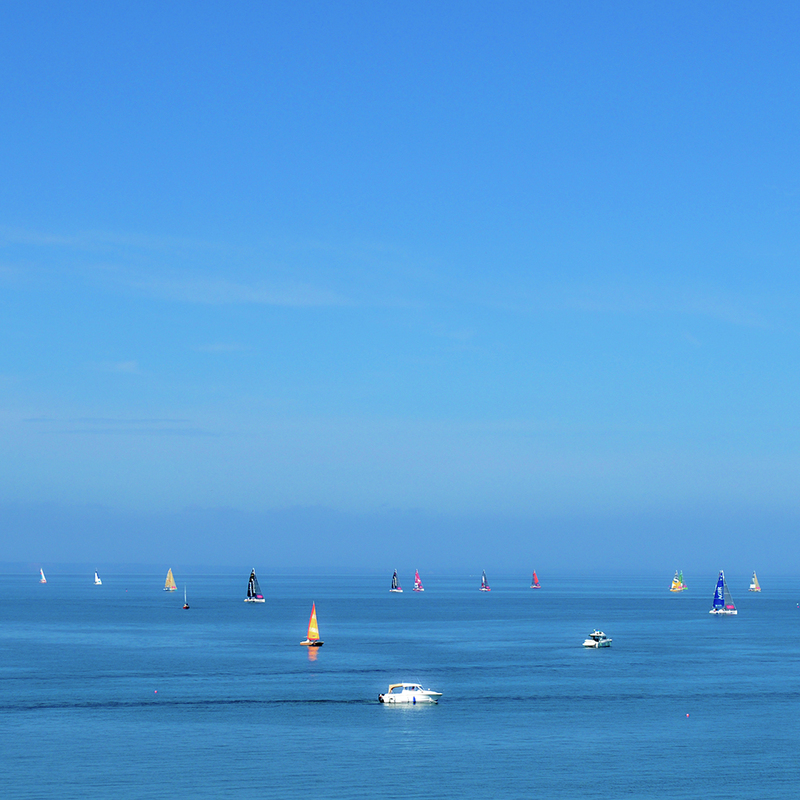 And of course, when it comes to blue, the sea and the sky around Torbay provided perfect inspiration. 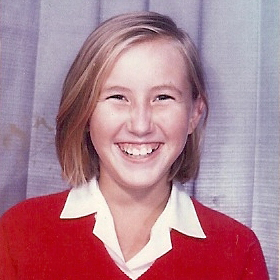 Ever since my first trip to John Lewis to get my secondary school uniform (cue a picture of a goofy 11-year-old me in my Maria Fidelis shirt and jumper, below) I fell in love with the store. It has such breadth in its range, innovates without intimidating and embraces trends while retaining its core customers – it’s a thing I consistently aim for when working on both my magazines and my illustration. This is reflected perfectly in its Autumn Winter 2015 collections. 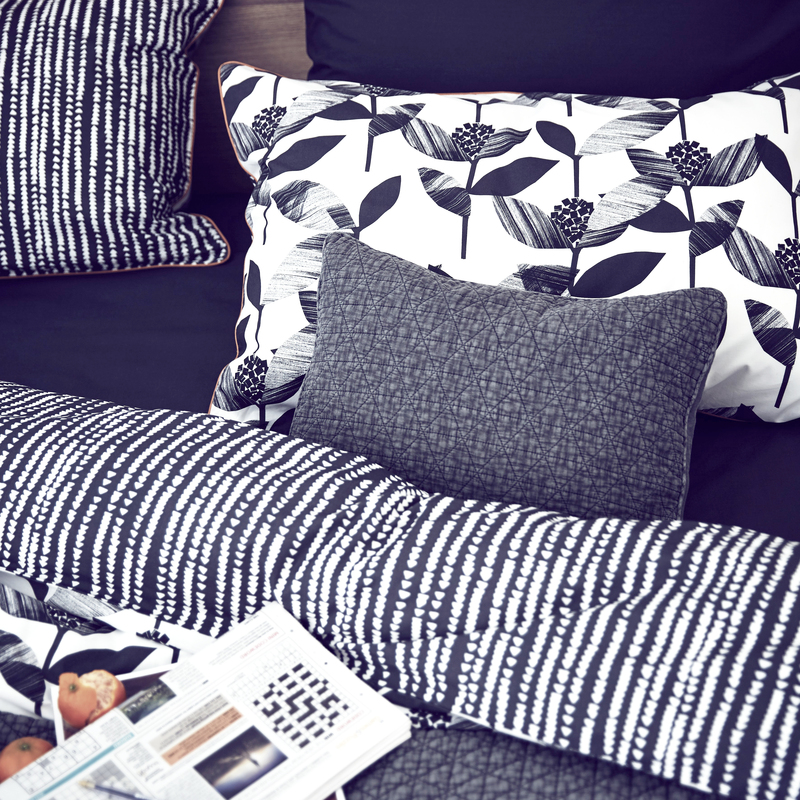 I really like the contemporary printed textiles, elegantly simple ceramics and the mix of textures and finishes in its furniture ranges – take a look for yourself. 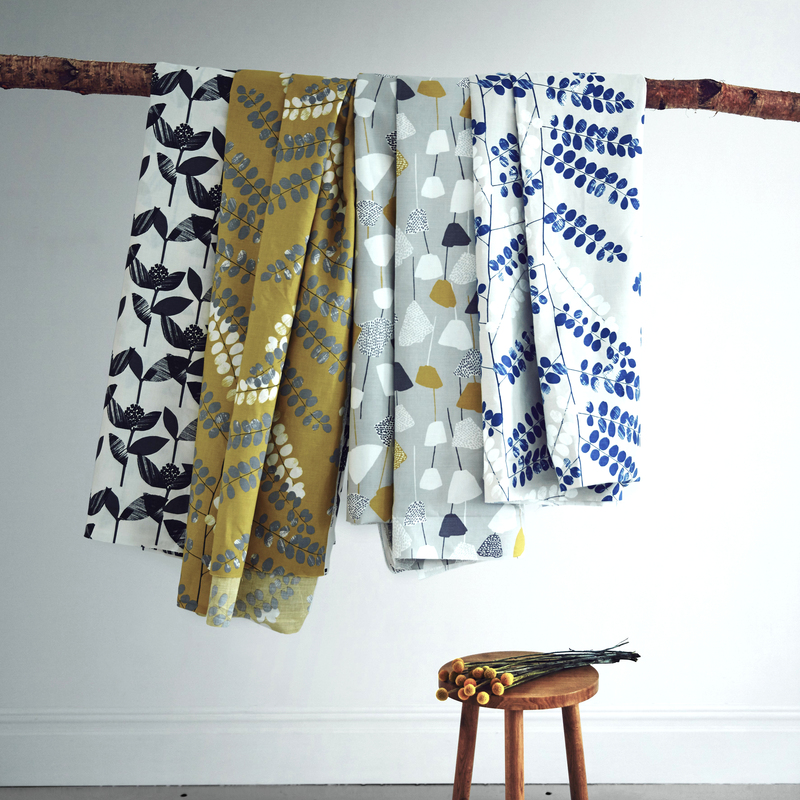 Visit the John Lewis website here. 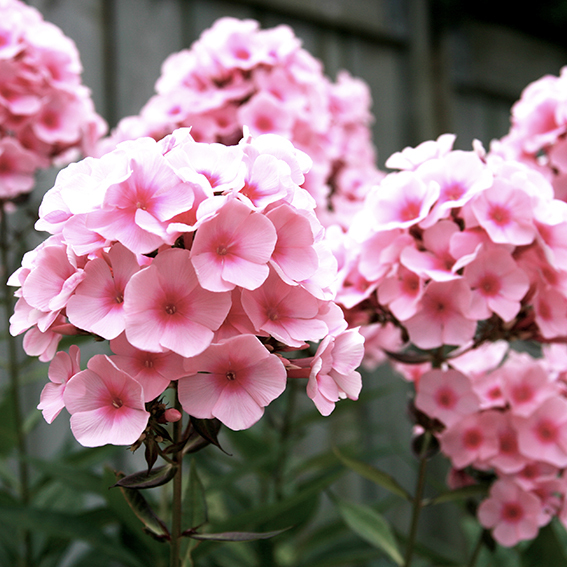 One of the things I love about June is seeing the phlox in full bloom. 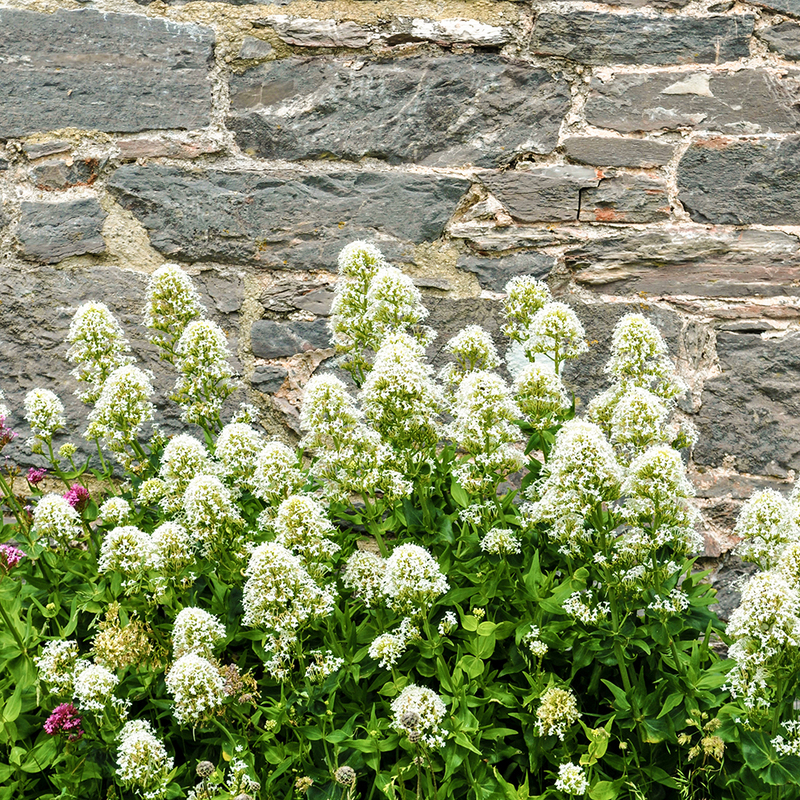 I love its masses of small, star-shaped flowers bedecking garden borders, filling them with colour. 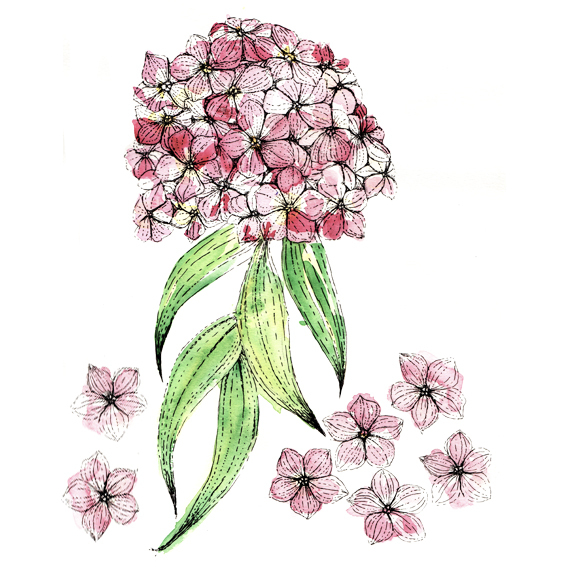 Most phlox people grow in British borders are derived from the American native phlox paniculata. Phlox is a relative new come to British gardens as it was brought from America by phlox-breeder Captain Bertram Symons-Jeune in the 1950s and made popular by gardener Alan Bloom in the 1970s. Annoyingly, much as I love them, and however many times I read they are easy to cultivate, these flowers do not grow in my garden – they don’t seem to like our Essex estuary clay soil. So I will have to content myself admiring other’s borders and with drawing these flowers instead. 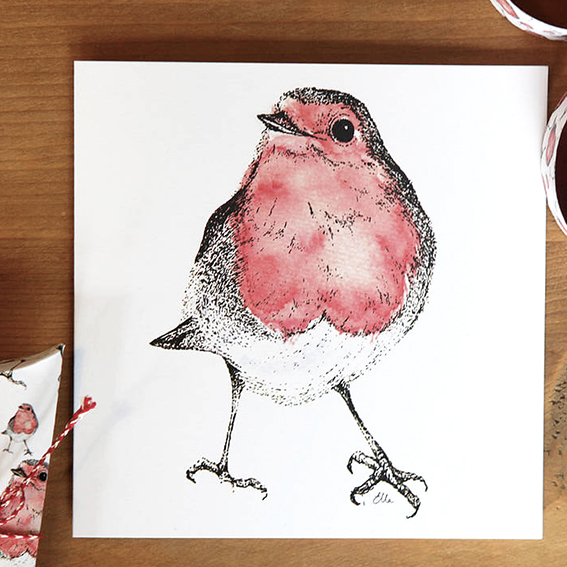 The robin has been crowned the nation’s favourite bird in the National Bird Vote. More than 224,000 people took part in the poll, the result of which was announced today. As someone who loves birds and drawing them, this vote was of real interest to me. It was organised by ‘urban birder’ and Springwatch contributor David Lindo and polls closed on the day of the general election. 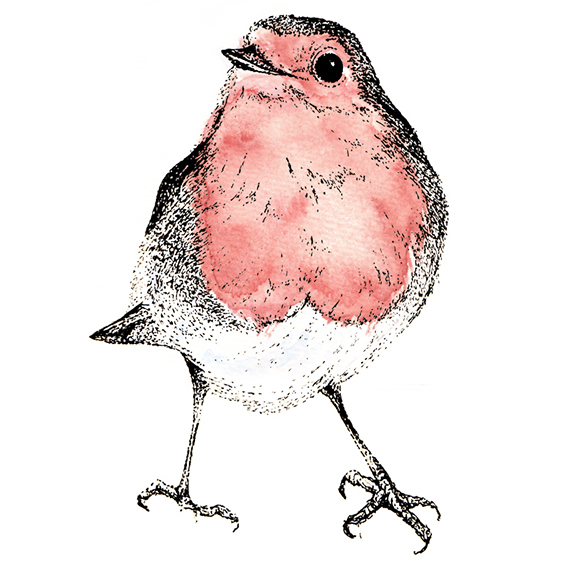 Thirty four per cent voted for the robin – a garden favourite – with the barn owl coming second and the blackbird taking third place. 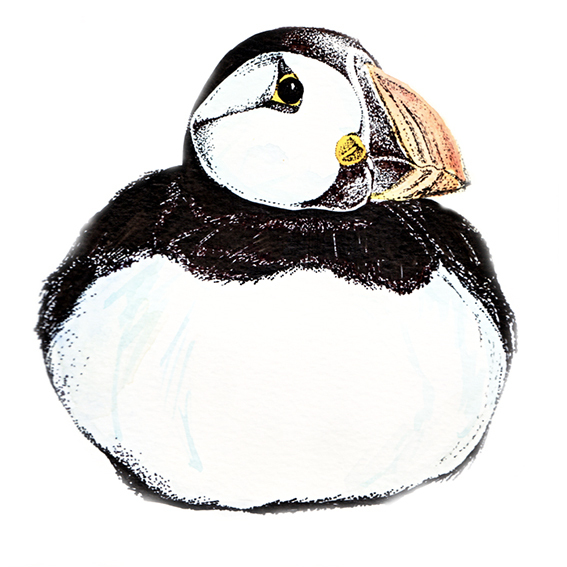 My favourite bird, the puffin, came tenth. 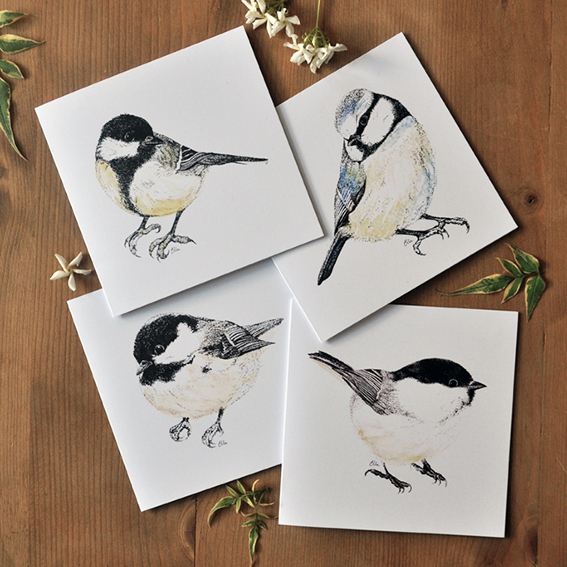 The result didn’t particularly surprise me as my robin cards and garden bird cards have been hugely popular for a little while now – you can check them out on my Not On The High Street Shop. Years and years ago, I had an exhibition of my screenprints at Medcalf Bar in London’s Exmouth Market. Me and Dr B ended up spending quite a lot of time in the area showing friends and family my work. On our various visits we would end up popping into a gallery, Inked Art, at the top of the Market. 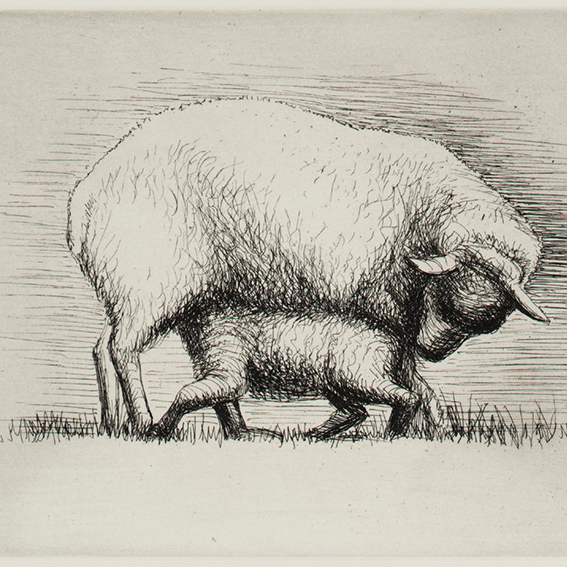 Run by the wonderful John and Pat Crossley, the gallery featured some amazing prints by 20th-century British artists, including some absolutely stunning etchings by Henry Moore. John is a master printer and learned his trade at Bradford College of Art – where Hockney studied. John has made prints for some of the most celebrated British 20th-century artists, some of which made it into the gallery. 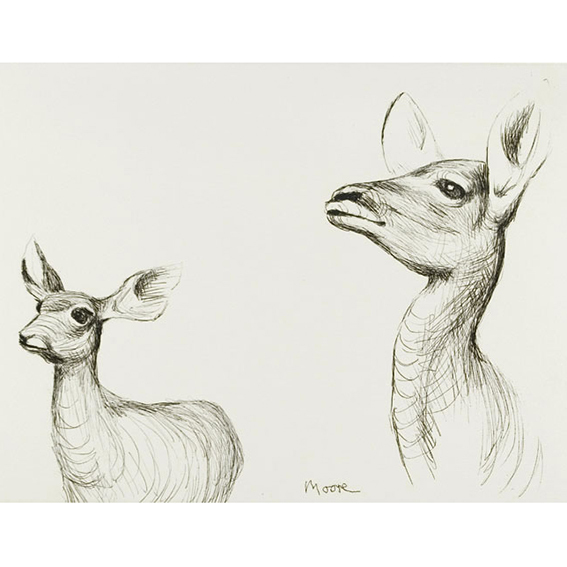 Obviously I’d seen Moore’s sculptures before and I’d studied his war shelter drawings as part of a personal project, but I had never seen his animals sketches. The sensitivity of his line and deftness in which he draws conjures up feelings of both awe and envy in me. I’ve since been obsessed with Moore’s line and cite him as a key influence in my own work. You can see some of Moore’s animal pieces here. The gallery is now a luxury kitchen showroom (that’s gentrification for you) but you can still buy from Inked Art and check out its print collection at the gallery’s website.